Hostel Mancini is a safe, newly renovated and centrally located backpacker haven that provides: free breakfast, free wi-fi and also has a fully loaded kitchen with oven. We offer several kinds of accommodation to meet your needs. Ideal for individual travelers, families, students and groups of friends. Located right in front of Naples Central Train Station with access to local Circumvesuviana trains to Pompeii, Mt. Vesuvius, Sorrento and Herculaneum. A great location for Erasmus students, since it is located at 5 minutes from Naples’ two main Universities, Federico II and l'Orientale. We are a 4 minute walk away from the famous Pizzeria da Michele and 15 minutes from the historic center of Naples. 20 minutes away is the port of Naples with ferry service to many local islands such as Capri, Ischia and Procida; as well as other destinations throughout Italy. Our friendly multilingual staff (English, Italian, Spanish and Polish) are always willing to answer your questions and provide you with useful information about local travel destinations, restaurants and other places of interest in Napoli. We provide all guests with a free city map to show how to reach the most important touristic attractions in the city. Allow us to guide you through worry free and affordable day trips in Napoli and surrounding areas. - Guests can return to the hostel at any time, there is no curfew! 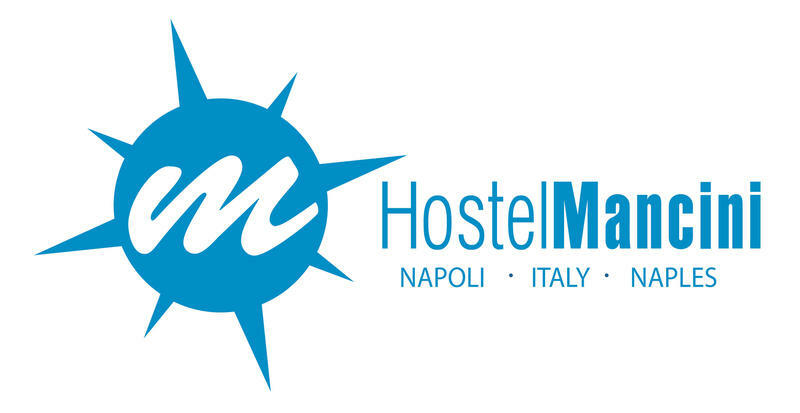 >> Every Wednesday is worldly at Hostel Mancini. We provide FREE sangria, snacks and sparkling wine every Wednesday evening. Have an awesome aperitivo before going out to explore the city. >> Every Saturday all guests enjoy a FREE pasta dinner and ice cream dessert!! Come enjoy our delicious cuisine and meet fellow travellers. If you arrive between the hours of 8am and 3pm there may be a market around the parking lot. Just stay on the left hand side and you will see our sign.